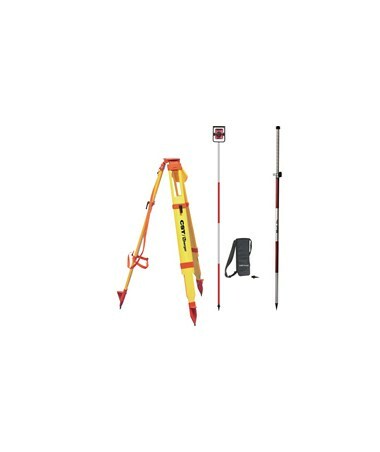 The Total Station Basic Construction Kit, complements your total station purchase perfectly. 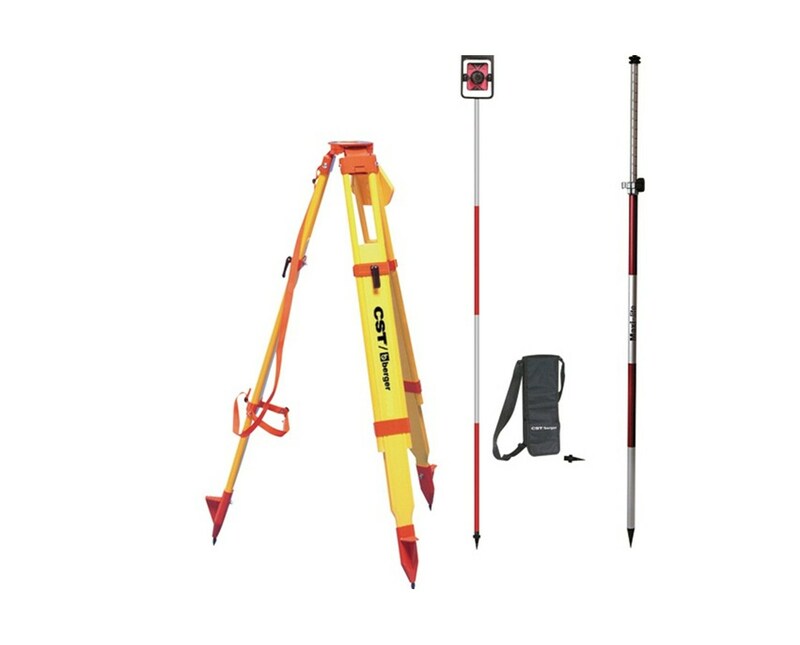 The tripod, mini prism pole system, and maxi-lite prism pole provide many of the basic accessories you need for your new total station in one convenient package. A reliable tripod is one of the most important factors in obtaining accurate measurements. The tripod is built to last, designed to give you years of worry-free use. The legs are made from hard maple for sturdiness, and the fiberglass dowels are filled with a polystyrene inner core in order to eliminate shrinking and swelling, which would affect the ability of the tripod to be accurately leveled. The tripod's legs feature pointed feet that can be pushed into most surfaces, giving you extra stability. Use the quick clamp to attach your total station to the tripod in just a few seconds; the large round precision tuned head and wide mounting hole assist in plummeting correctly. Next, set up your prism using the Mini-Stake-Out Prism/Pole System. The 25 mm precise mini prism and tilting holder are made from lightweight aluminum, while the circular vial is shielded by the prism holder in metal housing, so you won't have to worry about damaging it. The pole itself detaches into four 30 cm sections, and fits into a padding carrying case with separate pockets for the hardened plumb bob steel points and prism system. 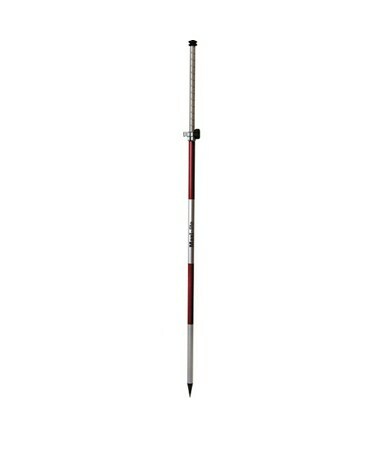 For bigger jobs, use the Prism Pole, which extends up to 8 feet and is 40% lighter than other prism poles. The twist lock mechanism, which uses a soft rubber knob to loosen or tighten the pole, ensures your Prism Pole is securely assembled, while the dual gradations in both 10ths and metric, help you place the prism at the desired height. As a final step, make sure to use the leveling vial to ensure your pole is placed at an exact 90 degree angle to the ground. You're now ready to start using your total station to acquire precise, accurate measurements that let you focus on doing what you do best, while saving your company time and money. Mounting Stud 5/8 in. x 11 in. Tripod- Wood/Fiberglass, 72" (183cm) open, 42" (107cm) closed, 5/8-11 thread, flat head; 16 lb. (7.2kg) net wt.